NeuroVision is a series of three short brain films created by Jake Fairnie and Bev Sage. 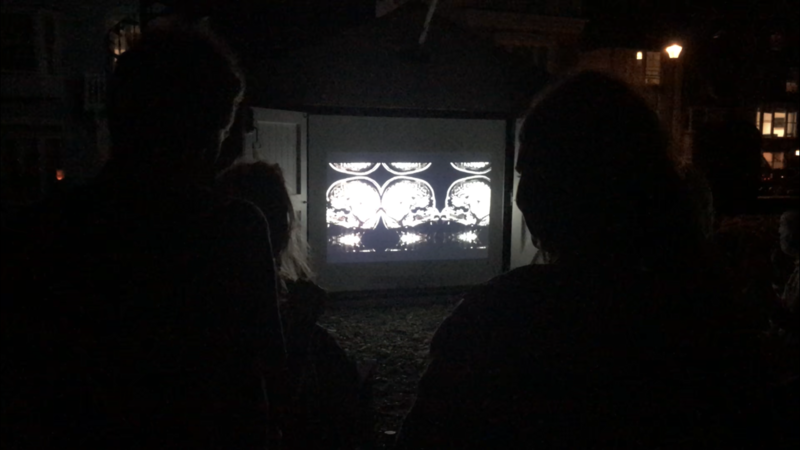 NeuroVision - The Trinity presents three perspectives of movement through three anatomical plane sections of the filmmakers' brains: axial (top to bottom), coronal (front to back) and sagittal (side to side) slices. 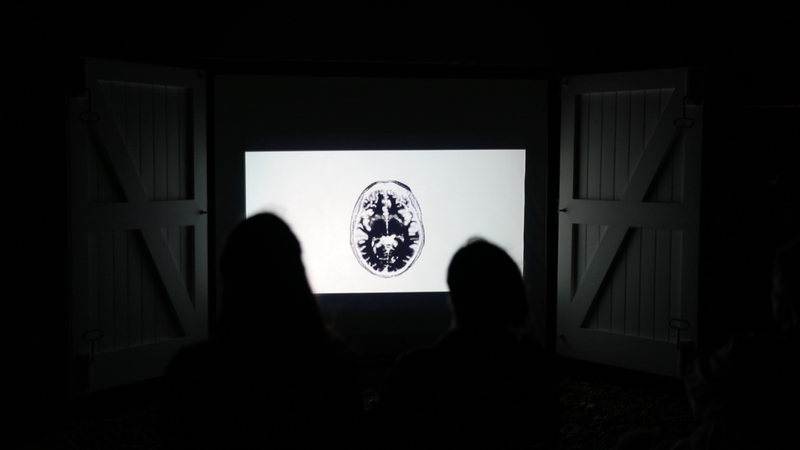 The static anatomical MRI scans are brought to life in a kaleidoscopic animated sequence. 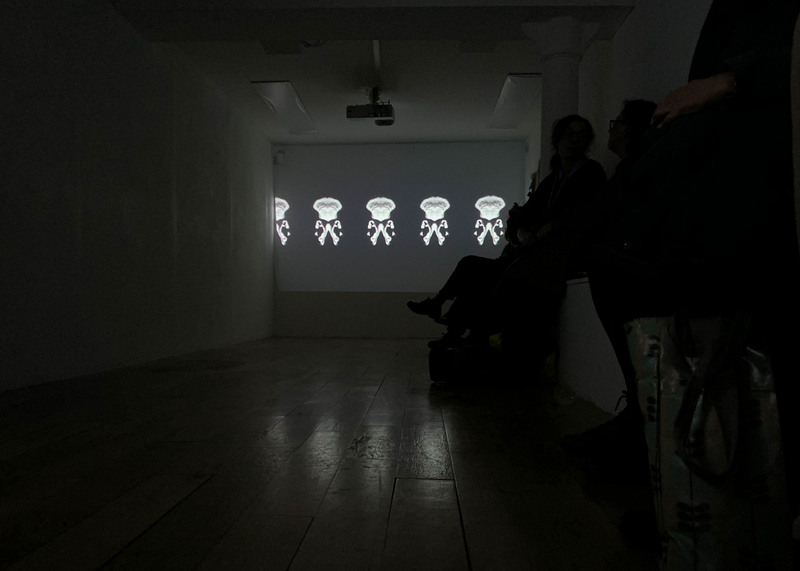 The triptych visuals are reflected in the audio which Fairnie and Sage recorded in three different continents: a piano player in Africa's Marrakech (who was the resident pianist for Soho’s legendary Colony Club for many years), the clanging cutlery from an American diner in Las Vegas (recorded the very day Donald Trump was elected President) and the Print Room from the Art Academy in London Bridge. 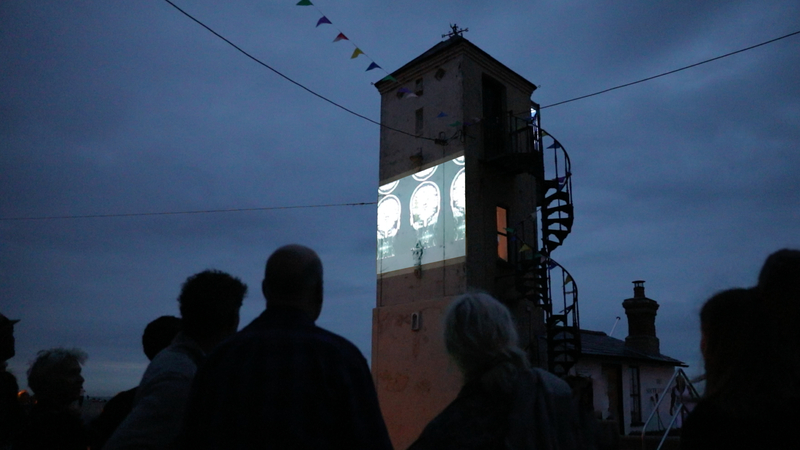 NeuroVision - Radiotherapy displays all three perspectives of the brain in a single frame, with the integrity of the cerebral cortex brain tissue removed in order to reveal the laser green lights of a radiotherapy session and arial drone footage of Sage swimming through the water on a mission to heal herself from cancer. 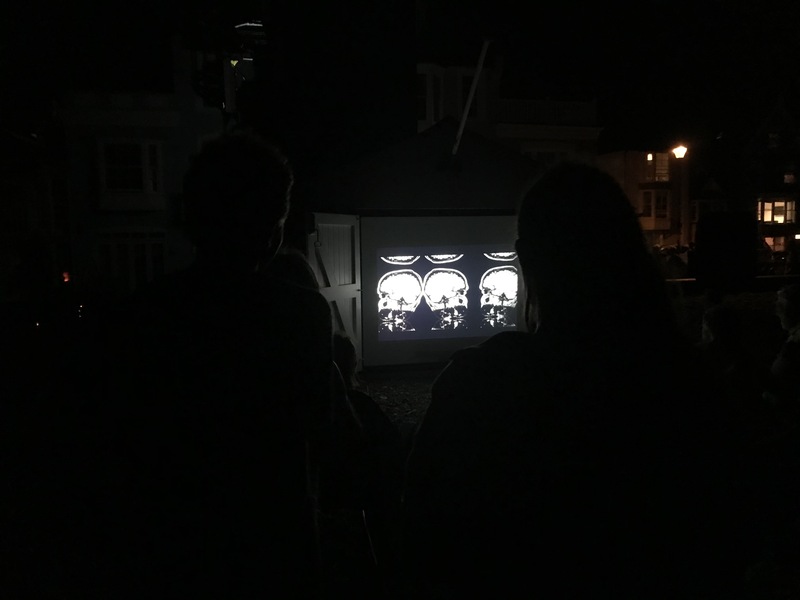 Sound recordings contain Sage's breath as she lay in an MRI machine shortly after receiving radiotherapy during cancer treatment, overlaid with the squalls of seagulls from Babbacombe beach where Sage grew up. 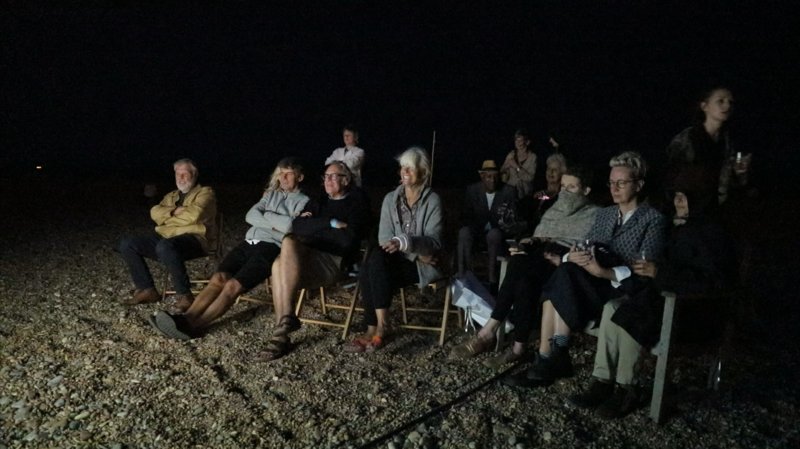 The film symbolises the fragile interface between technology (radio) and health (therapy). 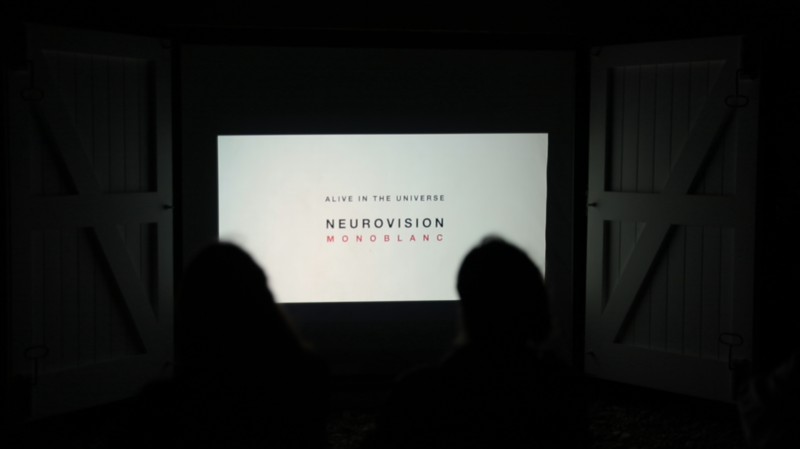 NeuroVision - MonoBlanc is a minimal, clean and clinical presentation of the anatomical MRI axial-plane brain scan of Dr Jake Fairnie's brain. 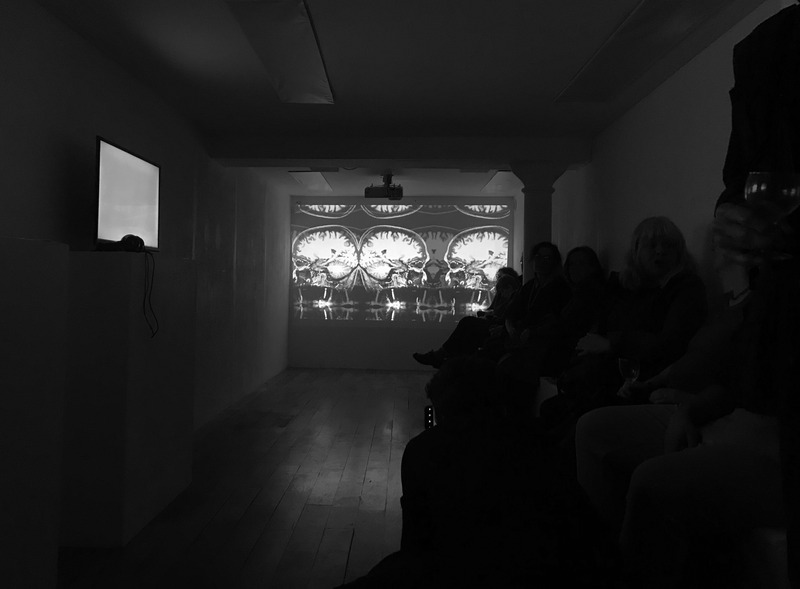 The audio contains sound recordings of flute player in the MRI scanner. 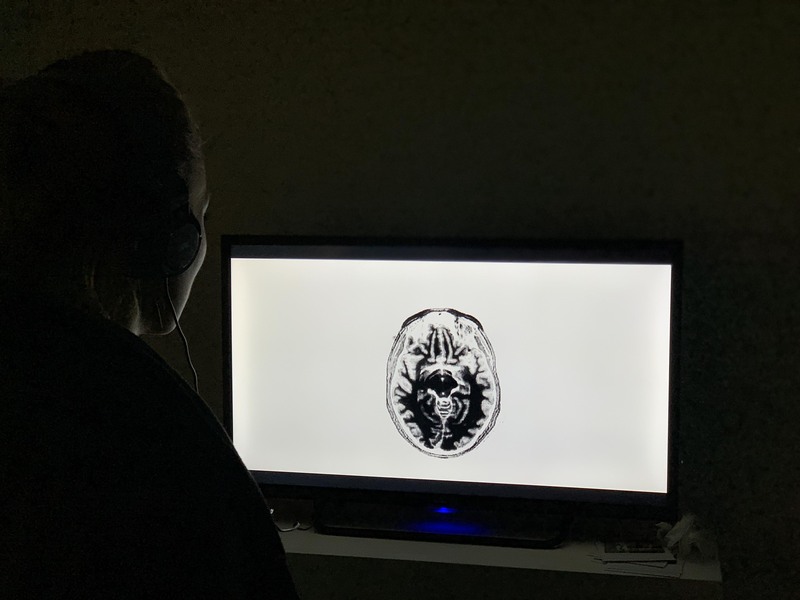 A wooden flute was used to avoid any metallic interference to the magnetic field of the MRI scanner, and the filmmakers' asked the musician to mimic the MRI’s electrical current pulses and bring joy to the monotonous, macabre melody of the MRI machine. 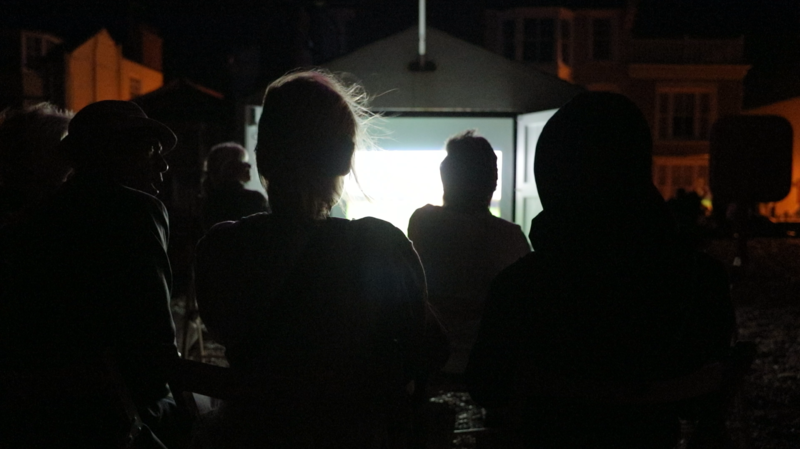 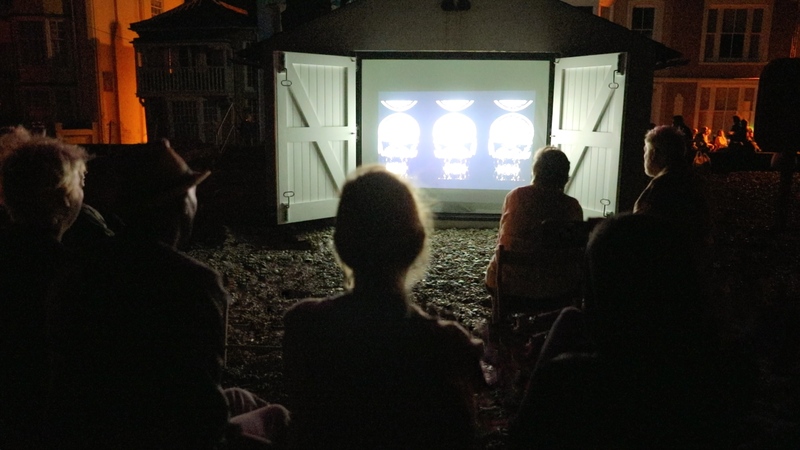 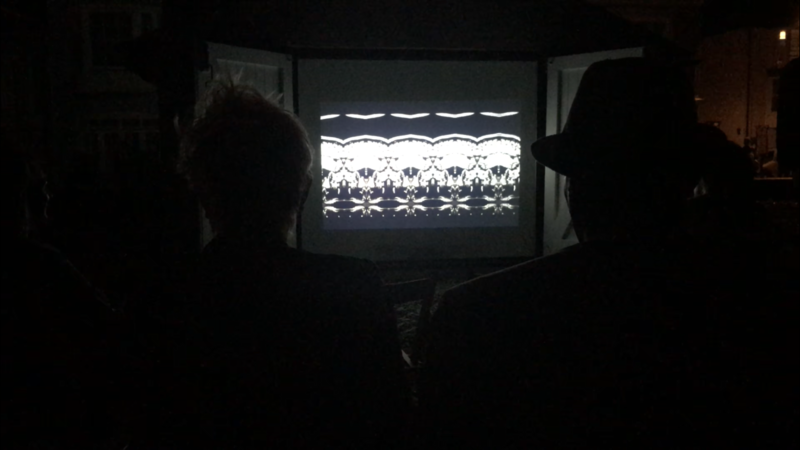 We are thrilled to announce that our NeuroVision short brain films were shortlisted and screened at the Aldeburgh Carnival short film competition 'Alive in the Universe' in August 2018, and subsequently were selected to be screened at the Venice Biennale - La Biennale di Venezia - in May 2019. 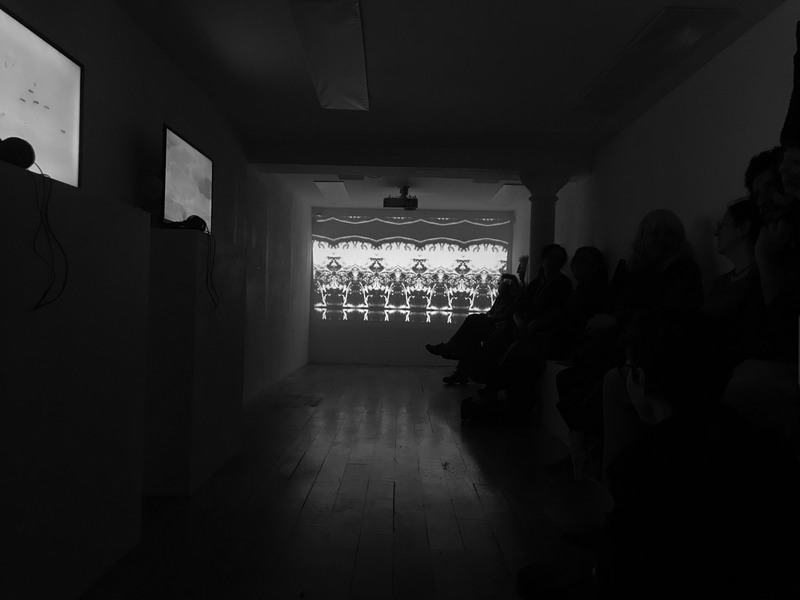 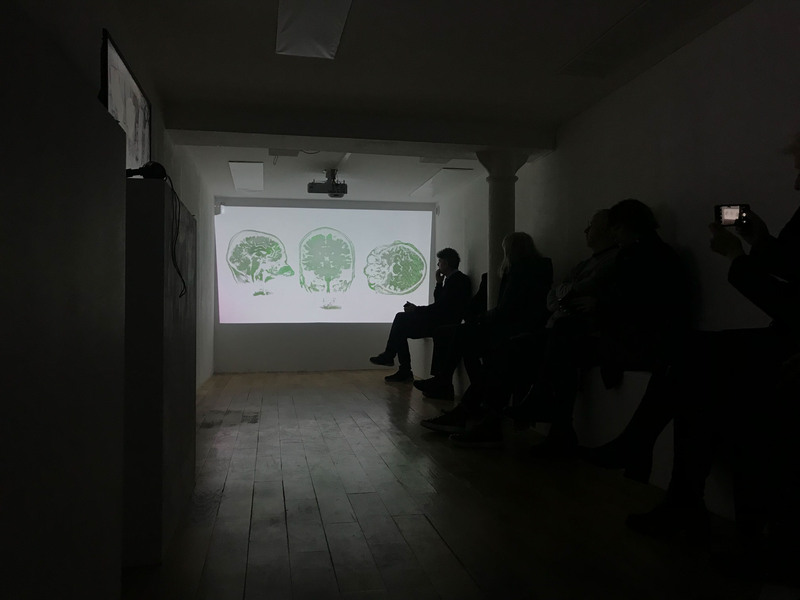 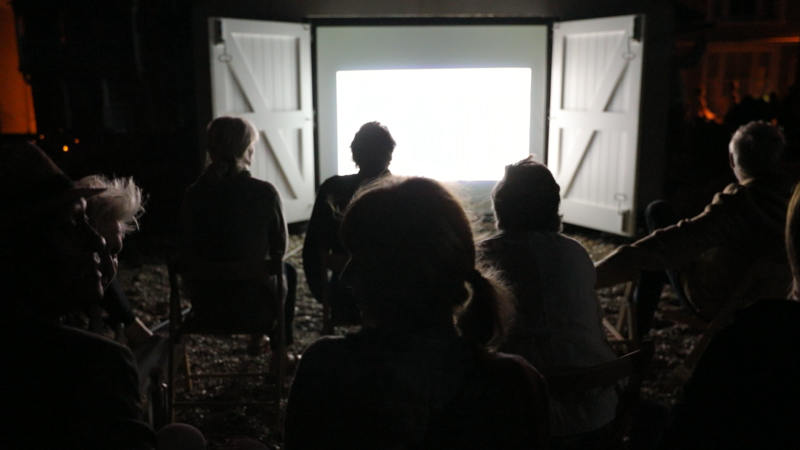 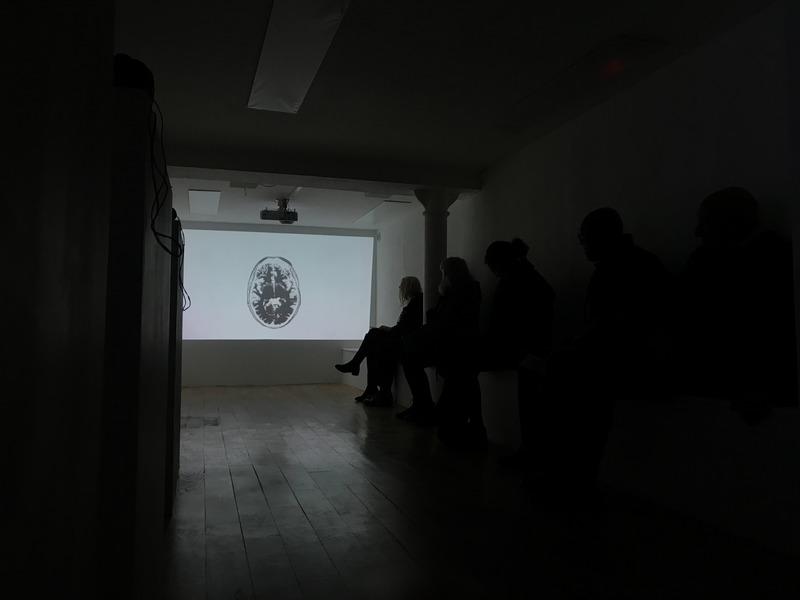 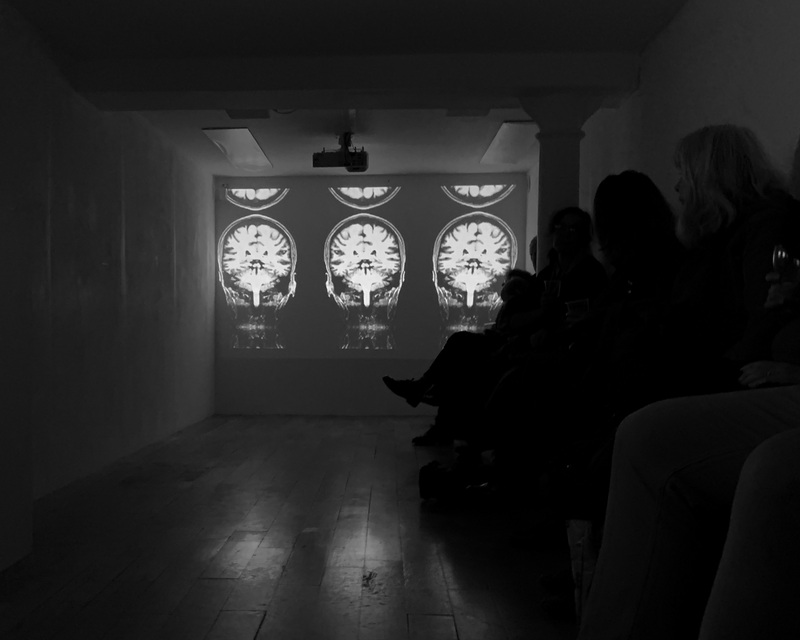 NeuroVision has also be screened at the Bermondsey Project Space as part of the Alive in the Universe installation ahead of the screening at the Venice Biennale 2019.